Beautiful EXECUTIVE STYLE townhome, ideally located in Patterson Heights is 10 minutes from downtown and backs onto a secluded, TREED RESERVE area. 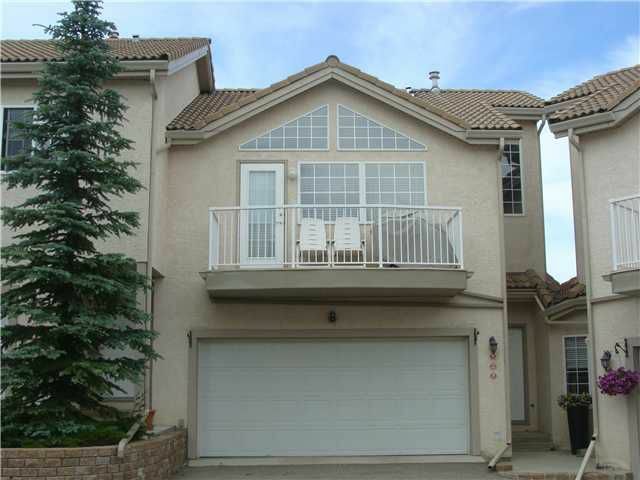 This home is BRIGHT and spacious, with vaulted ceilings, soaring windows, 3 decks AND a walk out to a patio! The large, spacious kitchen has a HUGE island and access to its own BBQ deck. The adjoining dining room looks over the living room, adding to the dramatic appeal of the spacious open concept floorplan. The living room walks out to another deck. The master bedroom features a WALK IN CLOSET, a luxurious ENSUITE that includes a jetted tub plus a separate shower AND its own PRIVATE BALCONY! The second bedroom also features its own ENSUITE and it's own door out to the serene PATIO. Condo fees include everything but electricity, phone and cable!